Pilot Iroshizuku Kiri-Same (Autumn Shower) ink review – Pens! Paper! Pencils! 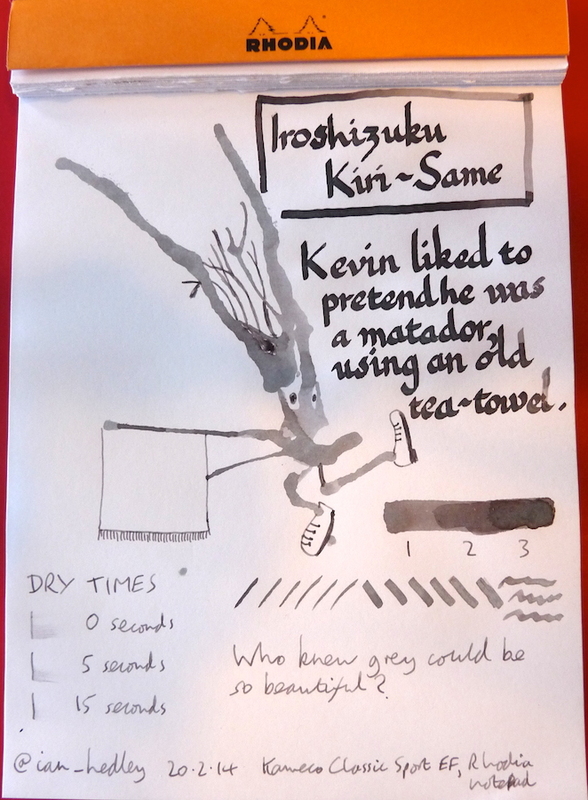 Despite Informal Scribble’s praise of Pilot Iroshizuku Kiri-Same in his wonderful review, I would not personally have chosen a grey ink. This bottle was a Christmas present. 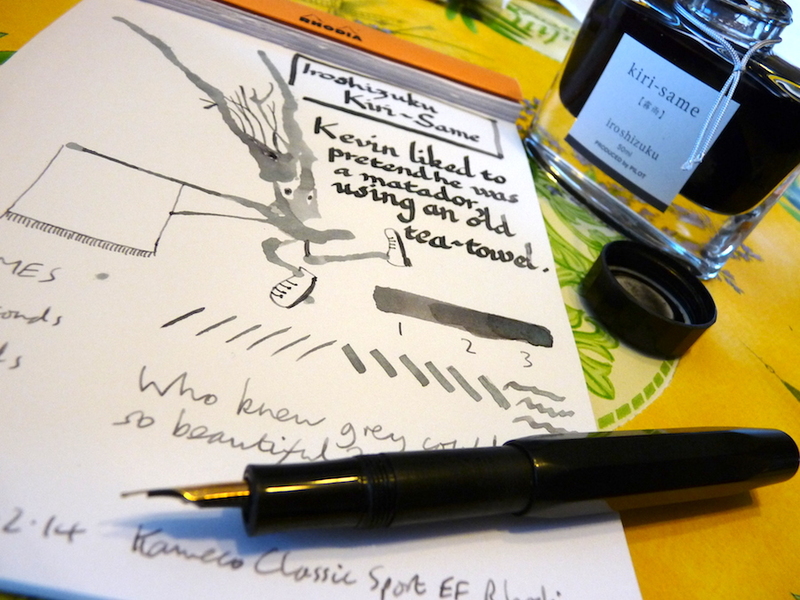 It turns out that Mr Scribble was completely correct and this is a beautiful ink. There’s so much shading, it goes from pale grey to not far off black. The ink goes on very wet but dries ridiculously quickly. This is now my day-to-day ink for my pocket pen because it’s great for writing with and wonderful for drawing with. If you like my Inklings and would like to both support this site and get some unique Inklings of your very own in return, look here! I think this ink has some gorgeous shading! The shading is quite mad! In a good way!